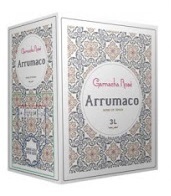 The Wine and Cheese Place: 2018 Arrumaco Rose - 3 liter box! 2018 Rose wines arriving just in time for Spring! Convenient! put a box in your refrigerator and pour a glass as needed! Equals 4 bottles of wine in quantity breaks down to $7.49 / bottle!